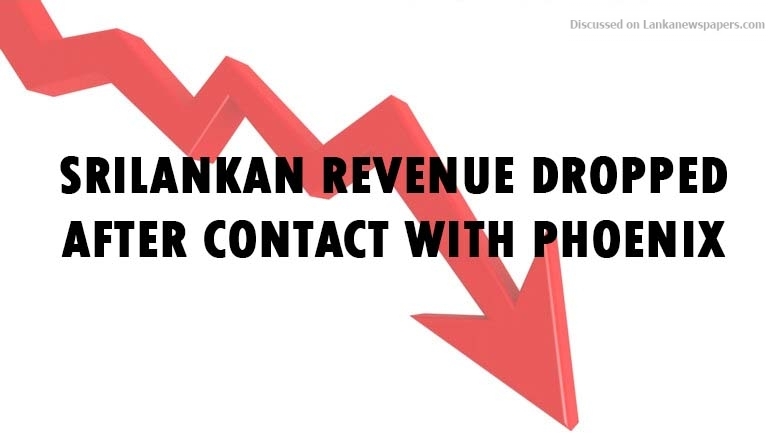 Details of anomalies in the contract SriLankan Airlines had entered into with Phoenix Rising Ventures (PRV) were exposed at the Presidential Commission of inquiry today. The senior procurement manager and the senior manager of revenue accounting at SriLankan Airlines testified today on the proposal put forward by Phoenix Rising Ventures to acquire the entire in-flight duty-free program at SriLankan Airlines. Though the proposal was made by PRV, the board of directors had approved to outsource the program to Phoenix Duty-Free Services. It came to light there was no requirement at all at the time for the entire in flight duty-free program to be outsourced. It was revealed today that after the duty-free program was outsourced to Phoenix, the revenue had dropped considerably. It must be noted according to the Fiscal Management Report of 2018, published by the Ministry of Finance and Mass Media, the losses suffered by SriLankan Airlines increased to Rs. 28.4 billion in the review period of 2017 compared to the loss Rs. of 12.6 billion recorded in the previous year. The report adds that the airline suffered the impacts of an additional cost of Rs. 14.3 billion incurred on cancellation of three A350-900 aircraft on lease agreement during the review period of 2017 and the closure of the Bandaranaike International Airport for the first three months of 2017. Even though the airline was drowning in debt there were four officials in the top management of the airline who continued to enjoy monthly allowances of over Rs. 3 million. SriLankan Airlines lost its certification from the European Aviation Safety Agency (EASA) based on a number of shortcomings. In addition last year SriLankan Airlines failed to release an Airbus aircraft to an Indian company after its lease expired. A loss of approximately USD 700,000 has been incurred due to this delay. These are just some of the more serious issues at SriLankan Airlines and the people are closely watching as to what investigations would be carries out on these matters.